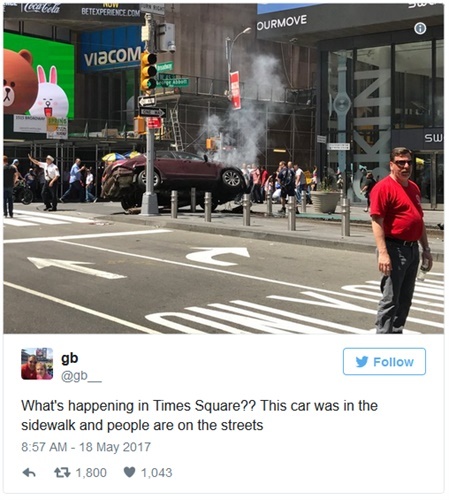 One person was killed and at least a dozen were injured when a car struck pedestrians in New York’s Times Square on Thursday at about noon, according to the Fire Department, reports the New York Times. The driver appeared to have been either drunk or on drugs, a law enforcement official said. He has a history of DWI arrests, the official said. A New York Police Department spokesman said the driver of the car had been taken into custody.